We know that you have a lot to do for Christmas, and so little time that every minute is precious! 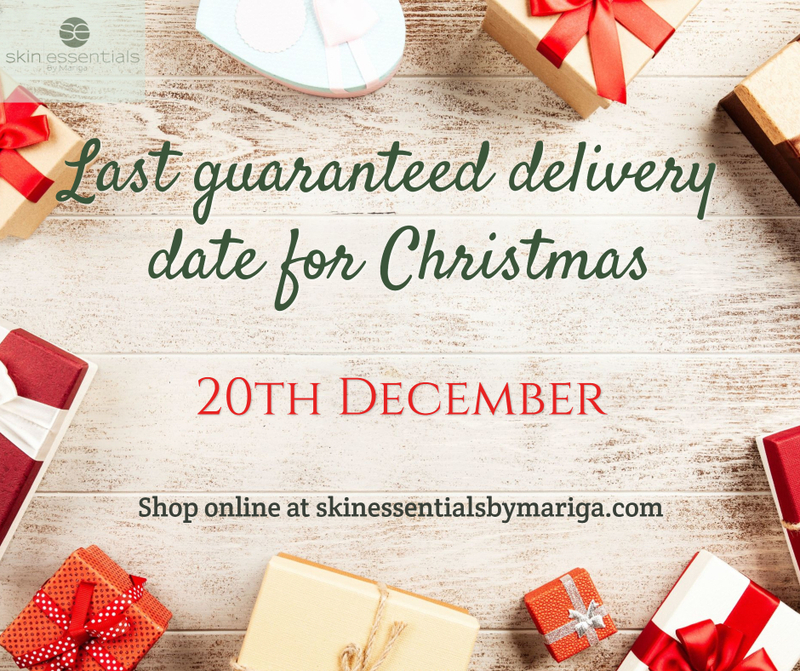 So we have a range of services designed to make Christmas gifting from Skin Essentials as easy and quick as possible for you. (Of course you can pop in for a browse and take as long as you like too)! 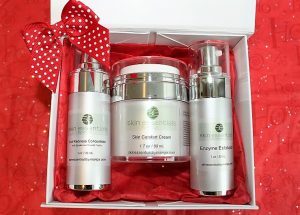 We have various gift packages of our skincare at different price points boxed and ready to go. Drop in, call to have it packed and ready in advance or use the click-and-collect service on our webshop. 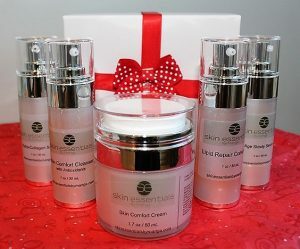 You can call us in advance to order any of our pre-made gift sets ready for quick pick-up, even pay over the phone if you prefer to do a super-fast pickup when you are passing. 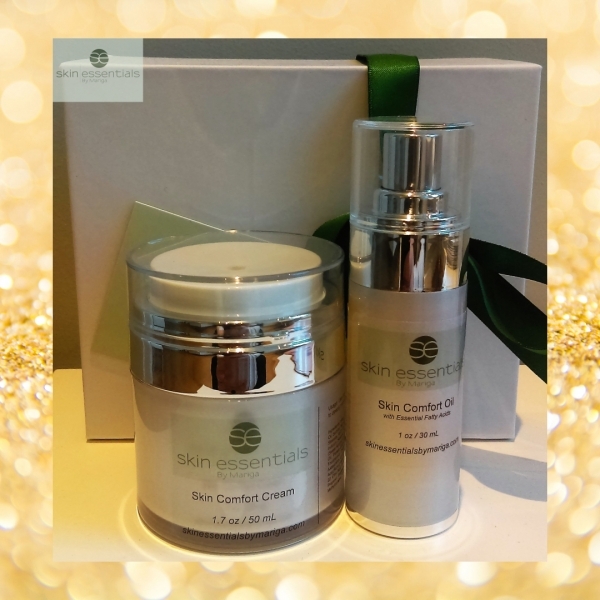 If your loved one is currently a client here at Skin Essentials, we will already have a list of what they need/want/are running out of, so just pop in or call in advance with their name and your budget and we will get a bespoke gift wrapped and ready for you. Our Christmas gifts are ready boxed and be-ribboned, just add your card and you are good to go. 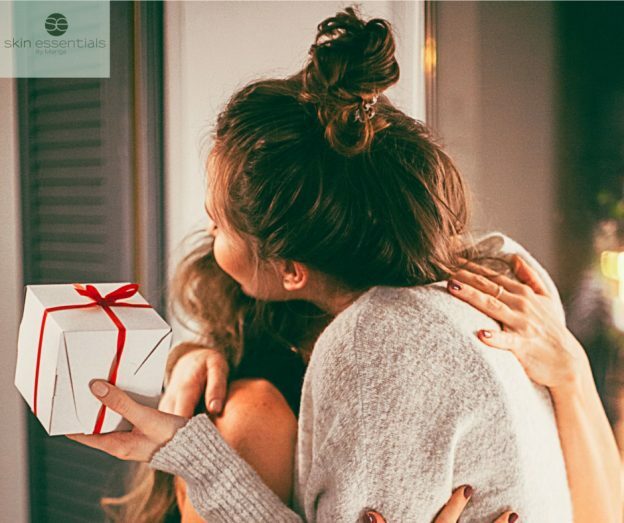 Gift Vouchers – Just drop in to us to purchase a gift card for any amount, we will add some festive ribbons and bows if you like to make it ready for giving – this can also be pre-arranged over the phone to have it ready in advance. 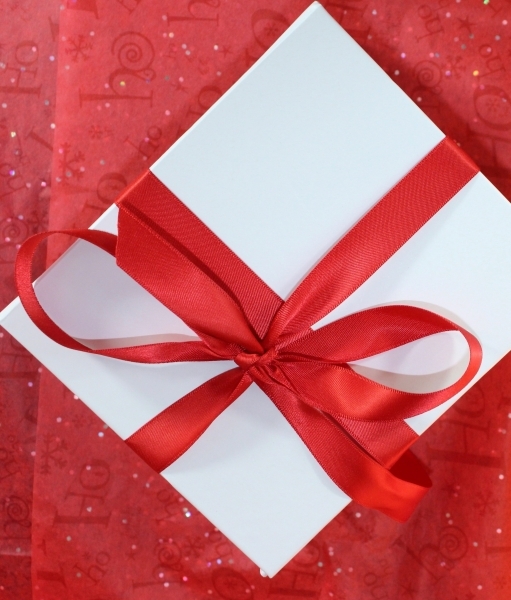 We have pre-selected gift boxes available to purchase directly on the store. Want a bespoke option? No problem just chose the products you wish to have boxed and wrapped and also add the ‘add Christmas gift packaging’ item to your cart. 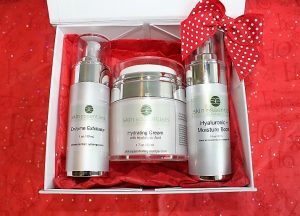 We can ship directly to you or to your recipient. To ship to your recipient simply put their address in the shipping section instead of your own but don’t forget to add a note to let us know not to put the receipt in the parcel if it is going direct!! 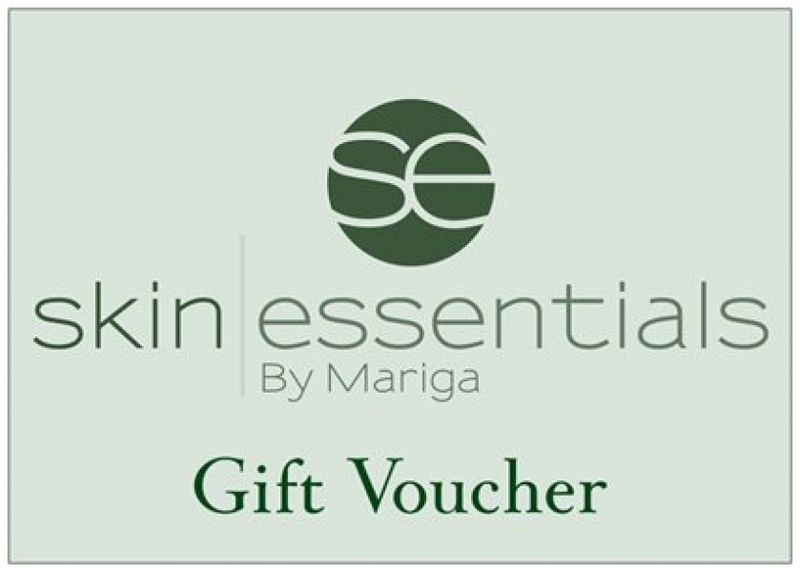 Vouchers can be purchased directly from our webshop and again sent directly to you or your recipient. Our vouchers are redeemable against all of our products and services and do not expire. 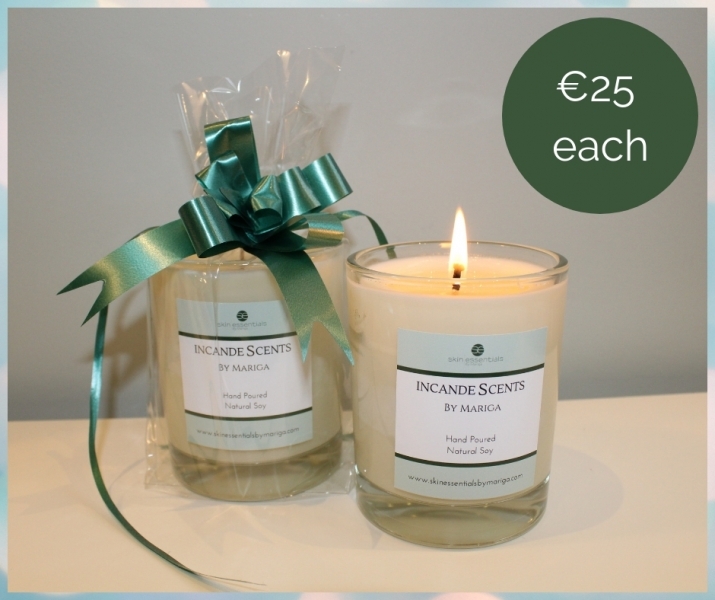 The new scented candle range from Skin Essentials. Mariga’s signature scent captured in a beautiful hand poured, natural soy candle. 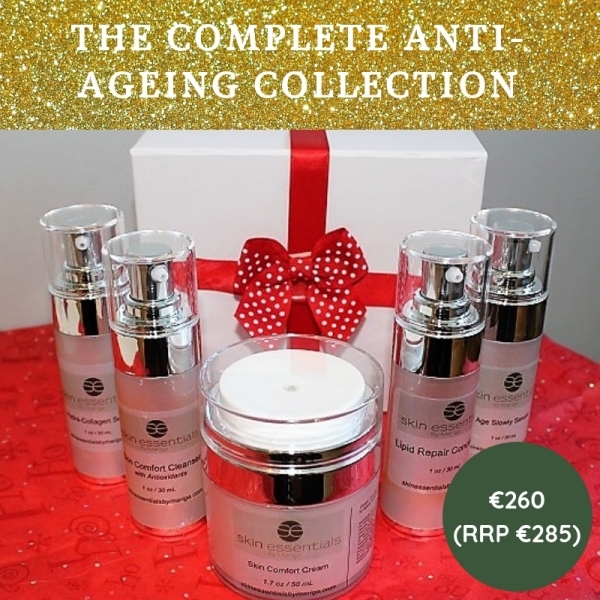 Available for €50 / €100 online, or call us on 053 9145981 to purchase any amount gift card of your choice. Buying as a gift? 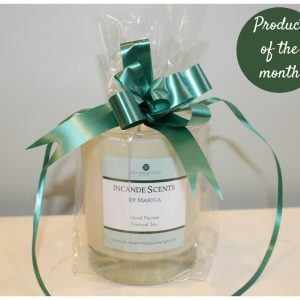 If you would like your selection beautifully presented as a Christmas Gift add this choice to your cart. For help or inspiration call us on 053 9145981. This entry was posted in Christmas Gifts on 08/12/2018 by mariga. 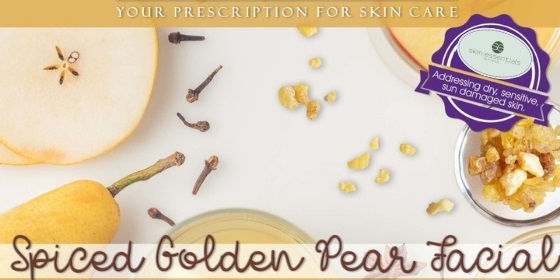 Treat your skin this Christmas season to our beautiful limited edition Spiced Golden Pear Deluxe Facial. 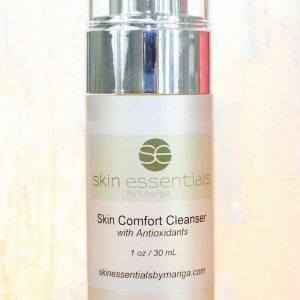 Formulated to cocoon your skin in moisture, while deep nourishing and skin calming benefits of precious plant extracts including Mirabilis Japan Flower, Indian Senna, Honeysuckle and Pear Fruit Extract combine to leave you with a bright, smooth and revitalised complexion. This deeply relaxing treatment includes our signature biodynamic lymphatic drainage massage, hot stone shoulder massage, and hot towel cocoon all the while enveloping you in the natural scents of the fruit flower and spice extracts. Bliss! 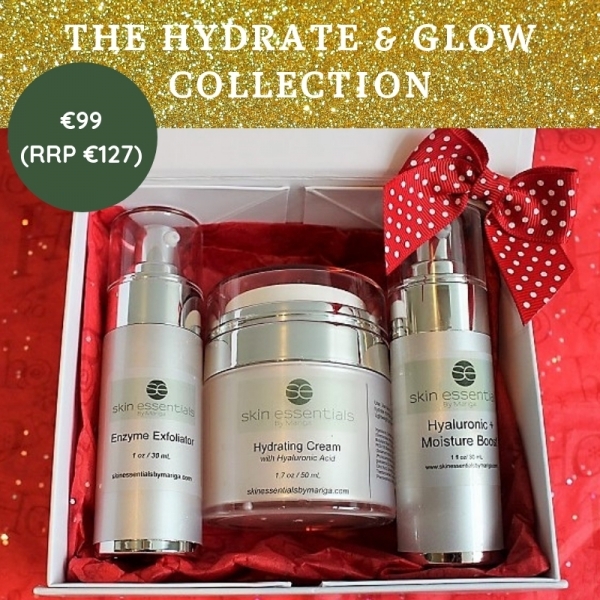 This facial is limited edition and available through December or while stocks last. 45 minutes €75 / 60 minutes €100. 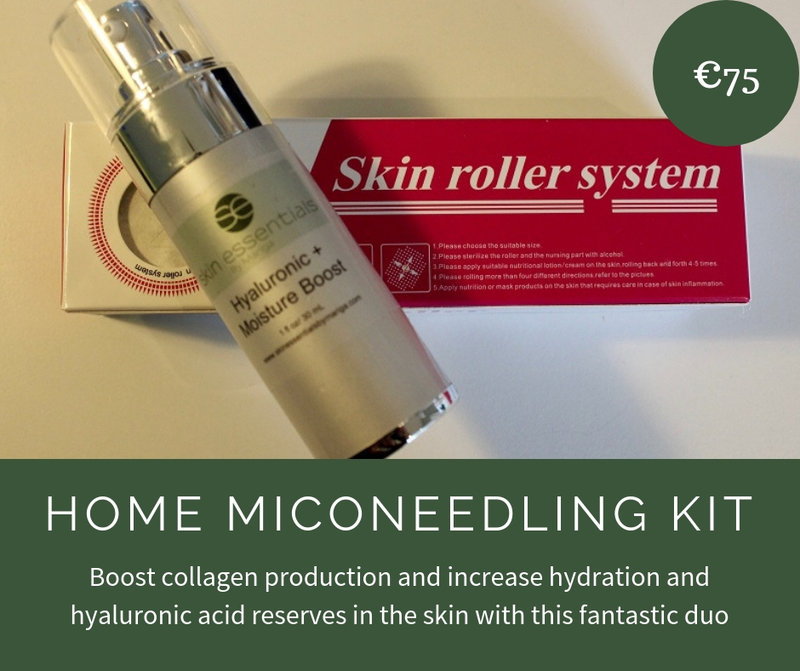 Simply book this treatment online or call us on 053 914 5981. Treat yourself! 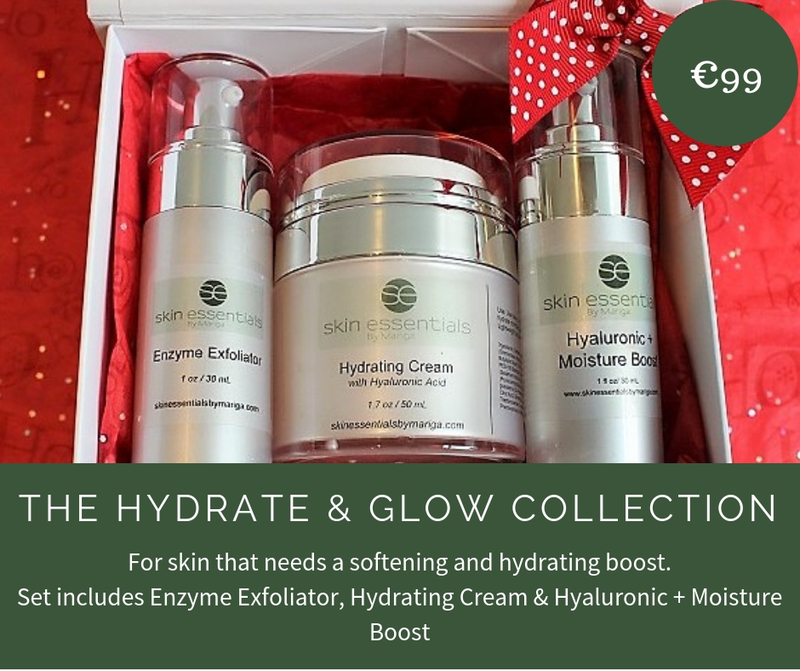 This entry was posted in Christmas Gifts, Treatments and tagged Christmas Season, Deluxe Facial, Gift ideas on 06/11/2018 by mariga. How has it come around so fast? To help you choose the perfect gift we have pre-selected kits featuring our best-sellers, all wrapped luxuriously in our snow white, satin-finish magnetic boxes tied with luxurious red satin ribbon. For Christmas 2018 we have chosen the following three kits based on your favourites over the last year, but of course we can tailor make anything to your budget and requirements. 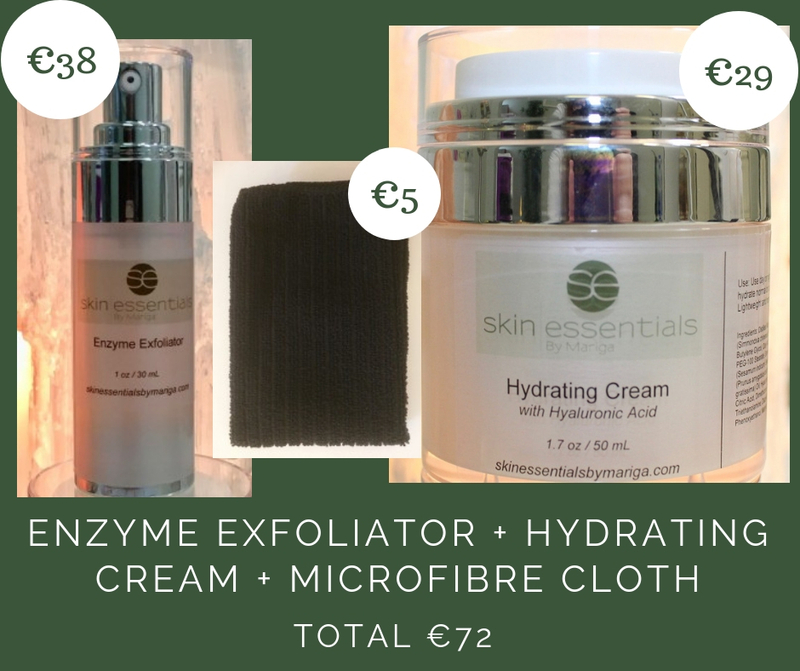 Just pop in to us at our Wexford Town clinic, next door to Selskar Bookshop, or call 053 9145981 and we will be happy to help. If your chosen recipient is already a client of ours we will have a record of what he/she uses and what they are due to run out of. 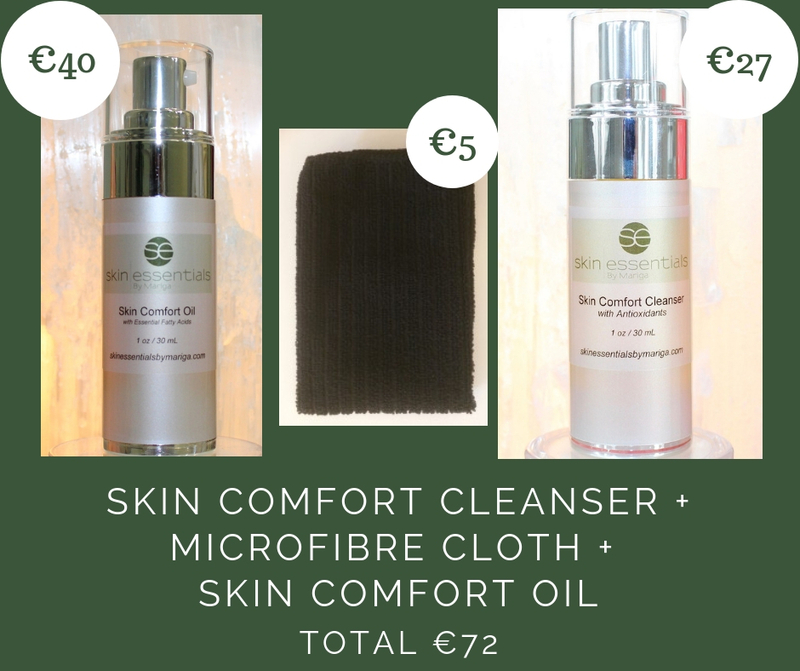 You can buy these kits online and in our Wexford Clinic, you can also click and collect if you’re in the area. 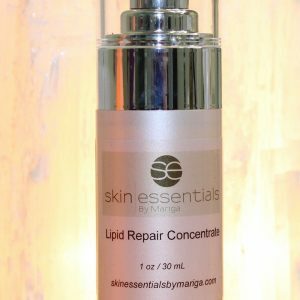 This entry was posted in Christmas Gifts, Skincare on 02/11/2018 by mariga.